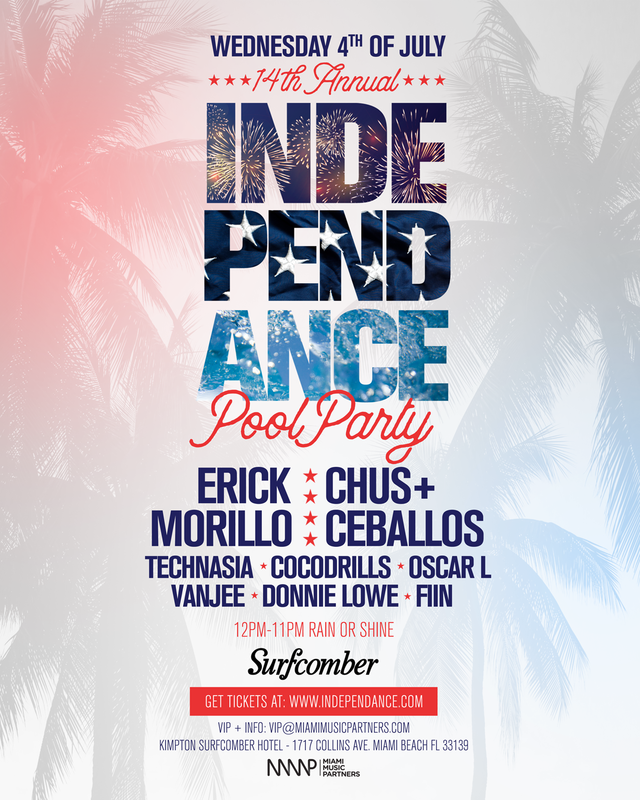 This 4th of July, the annual IndepenDANCE Pool Party is back, for the 14th consecutive year! Don't miss Miami's biggest Independence day event, hosted at the Kimpton Surfcomber Hotel. Featuring some of Miami's favorite artists, this 4th of July, IndepenDANCE will once again be the event to attend!